Build Your Dream Business From Home! Fill out the form below to watch the FREE video that shows you how to work from home in the booming multi-billion dollar health and fitness industry. And for a chance to win! Just for showing your interest in this incredible business opportunity, we're going to enter you in our monthly drawing for your choice of a Beachbody fitness program. This is up to a $119.85 value that could be yours, risk-free. Now is your chance to get on board with one of the most reputable companies in the health & fitness industry and earn a life changing income completely from home, risk-free. Fill out the form above to access the exclusive free video that shows you everything you need to know to take advantage of this exciting opportunity today. Products & Trainers That Have Been Highlighted on Ellen, Dr. Oz, The Doctors, The Talk, Oprah's O Magazine, CNBC, and More! Team Beachbody® does not guarantee any level of success or income from the Team Beachbody Coach Opportunity. Each Coach's income depends on his or her own efforts, diligence, and skill. See our Statement of Independent Coach Earnings for the most recent information on the actual incomes of all our Coaches. 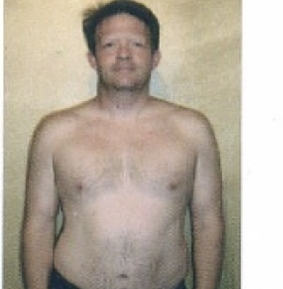 I got started with P90X at the end of 2009 and did that for about 4 years before switching to P90X2. I did that for about 9 months before dabbling in Insanity (the workout, not the mental condition) and now I've been doing Body Beast for a little over 6 months. I have completed 2 rounds of that am loving my third just as much if not more! Before I got started getting fit!